Yuna and all her dresspheres. All character images property of Square Enix. 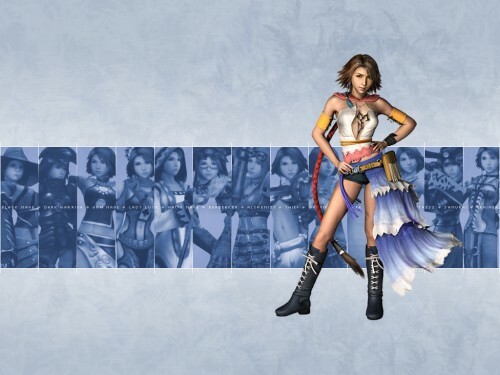 Browse Final Fantasy X-2 Gallery: Recent | Popular. I agree on the colors for this one. This is my favorite of the series. Yay other dresspheres! Thank you so much. The nice simple layout is an added bonus of glee. The backgorund is nicely subdued withougt fading into nothingness. This is beautiful! I Love!